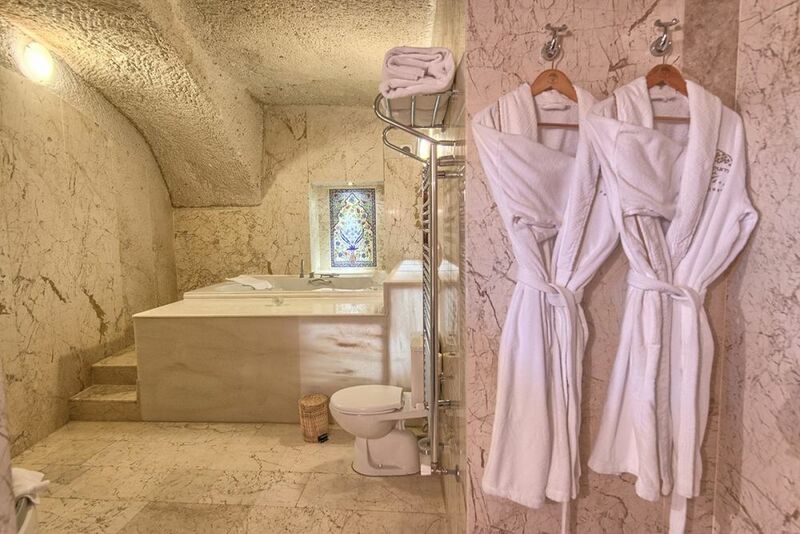 This Spa suite has been specially designed for guests with elegant taste by combining Naile Hanım and Eftelya Cave suites. 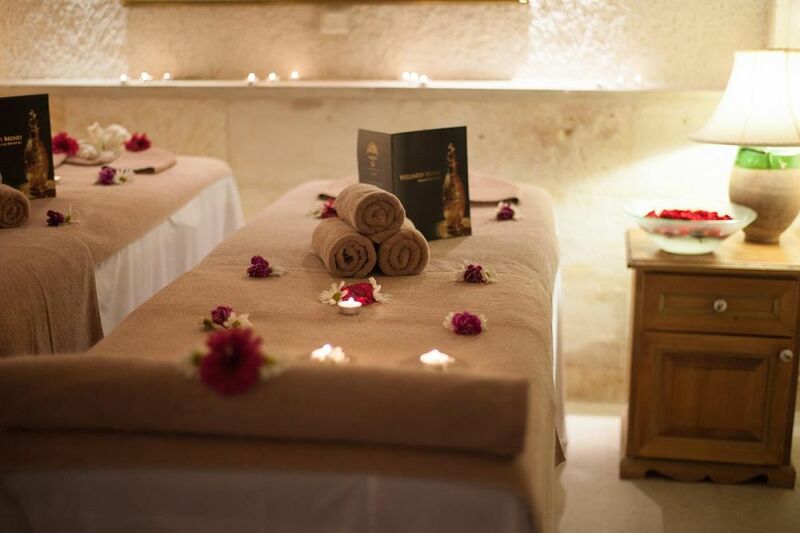 It consists of two special bathrooms, two Jacuzzis, a living room, and a massage room. 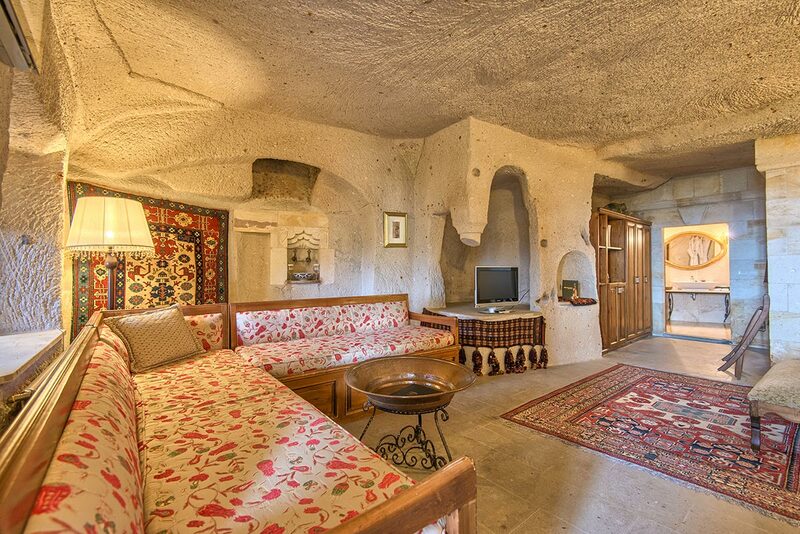 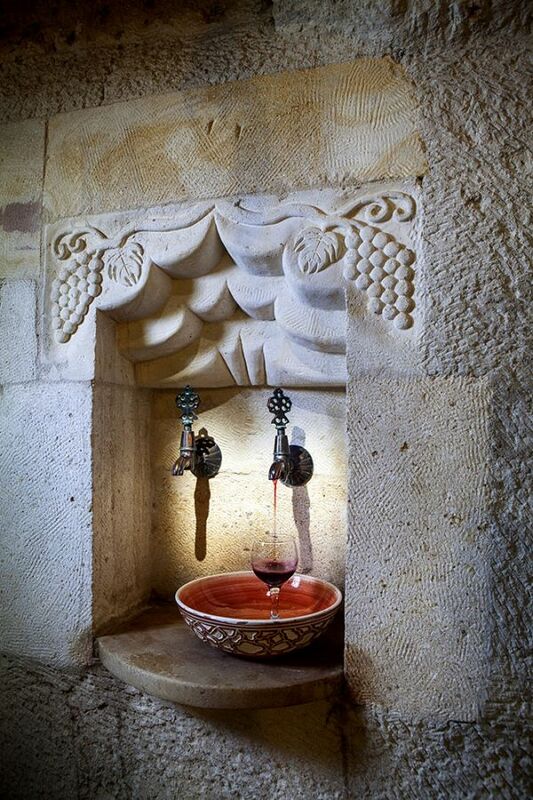 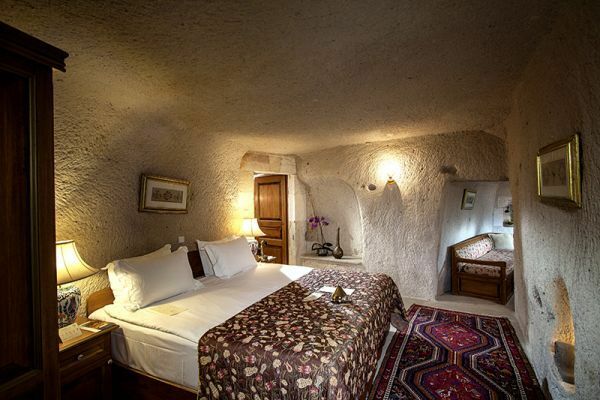 The Cappadocia wine taps and a warm marble massage stone are some of the special details in the room.